Quarles & Brady’s Insurance Recovery Team keeps its finger on the pulse of Wisconsin insurance law and we want to help keep you informed. This article compiles the important 2018 Wisconsin Court cases that may impact your business or practice. It will get you up to speed on the current state of the law and help you anticipate what’s to come in 2019. For additional information, please reach out to any member of Quarles & Brady’s Insurance Recovery Team. Negligent Supervision Leading to an Intentional Act May Not Be Covered. Talley v. Mustafa, 381 Wis.2d 393, 911 N.W.2d 55, 2018 WI 47. When an employee assaults someone while on the job there is significant legal risk, because the employer can be sued for negligence in supervising or hiring the employee who committed the assault. Until this year there was little reason to doubt insurance coverage for this risk, based on a Wisconsin Supreme Court decision, Doyle v. Engelke, 219 Wis.2d 277, 580 N.W.2d 245 (1998). The Court held that a standard commercial general liability (“CGL”) policy covered employers whose negligence in hiring or supervising an employee led to an intentionally caused injury by that employee. Unfortunately for business owners and employers, in Talley v. Mustafa, that decision was at least partially overruled, although certain anomalies described below make it difficult to gauge whether, and the extent to which, coverage may yet exist for negligent supervision stemming from the intentional act of an employee. The facts were straightforward. Mustafa owned a convenience store. Scott, a store employee, intentionally punched Talley—a store customer—in the face. Talley then sued Mustafa, the store owner, alleging, among other things, that Mustafa was negligent in supervising Scott and this negligence led to the injury in question. In a divided decision, the Supreme Court reversed the Court of Appeals, which had relied on Doyle to find coverage. The majority reasoned that coverage was barred due to the intentional conduct of Scott in punching Talley in the face, even though Mustafa’s negligence in supervising Scott was the basis for the suit. While the policy had an “intentional acts” exclusion, that exclusion was not the basis for the Court’s decision, since the exclusion is expressly worded as barring coverage only for bodily injury that was expected or intended from the standpoint of “the insured,”—i.e., Mustafa—making Scott’s intent irrelevant. Instead, the Court held that there was no “occurrence” triggering coverage, since “occurrence” was defined as an “accident” and Scott’s act of punching Talley in the face was no accident. The Court rejected the argument that Mustafa’s alleged negligence in supervising Scott could supply the needed “occurrence” element, expressly overruling at least parts of Doyle. However, in doing so, the Court’s analysis focused on the shortcomings of the complaint in properly alleging the underlying tort of negligent supervision, or any evidence supporting the claim aside from Talley’s assertion that Mustafa “should have trained Scott not to hit people.” The Court emphasized that, other than this bare assertion, the record contained no explanation as to how Mustafa was negligent, or how that negligence contributed to Talley’s injury. An Insurer That Breaches its Duty to Defend Owes a Proportional Share of Defense Costs Where Another Applicable Insurer First Foots the Bill. Steadfast Insurance Company v. Greenwich Insurance Company, 2019 WI 6. Hot off the presses (so hot, we’re making an exception by including a 2019 decision in our 2018 Year in Review) is this Supreme Court decision, which involved a dispute between two insurers—Greenwich Insurance Co. and Steadfast Insurance Co.—over the infamous Milwaukee rain event in 2008, which led to extensive flooding in Milwaukee and its surrounding area. Both insurers insured Metropolitan Milwaukee Sewage District (“MMSD”) as an “additional insured”—but did so under policies issued to two different contractors, Veolia and United Water, who MMSD had hired over two different periods of time to maintain the sewer system. MMSD was sued in multiple lawsuits based on alleged defective work by both contractors. MMSD tendered the cases to both insurers. Steadfast, the insurer for Veolia, agreed to defend MMSD; Greenwich, the insurer for United Water, refused. The underlying cases eventually settled, and Steadfast then settled with MMSD by paying it $1.55 million of its defense costs (MMSD had hired counsel and controlled the defense). Having paid the entirety of the defense, Steadfast then sued Greenwich on a subrogation theory, claiming that it stepped into MMSD’s shoes and was therefore entitled to full reimbursement of the defense costs it paid on MMSD’s behalf. The trial court and court of appeals accepted this argument, ruling that Steadfast was entitled to recover from Greenwich the entirety of what it paid, and its costs of litigating with Greenwich to boot, under the subrogation principle that it stepped into the shoes of its policyholder. The Supreme Court took review, and accepted Steadfast’s theory to a point, but not entirely. Greenwich (the carrier who denied any defense), argued that its denial was justified by its “other insurance” clause which purported to put it excess over any other valid and collectible insurance, whereas Steadfast’s “other insurance” clause said that it was primary. Greenwich argued that this meant that its obligation was secondary to that of Steadfast. The Court rejected this argument, noting that the “other insurance” provisions of the policies never came into play. Such provisions only apply to policies that cover the same time period and the same risk, not policies that cover different risks that happen to be implicated by the same suit. The two policies here not only covered different time periods, but different named insureds (and their respective conduct), necessarily meaning they covered different risks. In essence, Greenwich could not use an “other insurance” clause to avoid paying on a risk (the cost of defending the negligence of United Water) that Steadfast had not insured but had assumed only because that risk was part of a lawsuit that included another risk (the cost of defending the negligence of Veolia) that Steadfast had insured. With the “other insurance” clause issue out of the way, it followed that Greenwich was in breach of its duty to defend, and the Court so found. Since Steadfast had assumed that duty in its entirety, it claimed that it benefitted from subrogation principles allowing it to step into MMSD’s shoes and obtain MMSD’s right to be fully reimbursed for the defense costs Steadfast paid, and its attorneys’ fees incurred litigating coverage, since fees are an element of damages in breach of duty to defend cases. The Court said well no, not exactly. While Greenwich was in breach, the Court was not prepared to foist the entirety of the defense on it, when Steadfast itself had a defense obligation and providing it a subrogation right for the whole ball of wax would give it a windfall. Instead the Court allocated the defense costs between the two carriers under a weighted pro rata method based on the insurers’ respective policy limits. So instead of recovering $1.55 million from Greenwich, Steadfast was only entitled to $625,000. Importantly, the Court also saddled Greenwich with Steadfast’s attorneys fees in establishing coverage, as well as interest. Although this case was between two insurers, it has implications for policyholders that are a bit of a mixed bag. On the positive side, it affirms certain pro-policyholder rights, including the right to recover insurance recovery fees in breach of duty to defend cases, and denies an insurer’s right to rely on an “other insurance” clause to avoid liability due to the presence of another policy except in the narrow circumstance where two policies cover the same specific risk. On the negative side, the case waters down a bit the venerable Wisconsin principle that an insurer who refuses to defend does so “at its peril.” Simply put, in a case where there are two insurers with possible but not iron-clad defense obligations and one does the right thing and defends, the other insurer now has additional incentive to refuse to contribute and instead take its chances in coverage litigation with the defending insurer. The Duty to Defend Arises for “Concurrent Capacity” D&O Claims. Grigg v. Arrowcast, Inc., 2018 WI App 17, 380 Wis. 2d 464, 909 N.W.2d 183, review granted, 2018 WI 92, 383 Wis. 2d 623, 918 N.W.2d 431. In Grigg v. Arrowcast, Inc., the Wisconsin Court of Appeals found Hudson Specialty Insurance Company had a duty to defend a business executive sued “in his capacity as a shareholder but not as an officer and director” where the underlying complaint against the executive nevertheless included allegations faulting his conduct as an executive. The underlying case arose out of a stock purchase agreement pursuant to which IOP Cast Iron Holdings, LLC purchased all of the outstanding stock of Arrowcast, Inc. Prior to the purchase, Grigg was CEO of Arrowcast, Inc. and a member of its board of directors. He also owned a minority of its shares, which he sold to IOP. After acquiring Arrowcast’s stock, IOP discovered information that caused it to suspect Grigg and others had misled IOP about Arrowcast’s sales projections during the negotiations leading to the stock purchase. IOP sued Grigg alleging breach of contract and fraud. In its complaint, IOP expressly alleged that it brought suit against Grigg “in his capacity as a shareholder but not as an officer and director” of Arrowcast. However, in support of its claims, IOP nevertheless alleged Grigg withheld specific sales projection information he had learned only in his capacity as CEO (not as a shareholder). Grigg sought coverage for the lawsuit under a policy Hudson issued to Arrowcast providing coverage to its directors and officers, including Grigg. The Policy covered “Claim” alleging a “Wrongful Act,” defined as acts “committed by an Insured Person in their capacity as such.” (emphasis added). Hudson denied any obligation to defend Grigg, and filed a motion for summary judgment on the basis that IOP expressly confirmed in its complaint that it was not suing Grigg in his insured capacity as a director or officer of Arrowcast, but instead sued him only in his capacity as a shareholder. The circuit court granted Hudson’s motion. The principles on which the Court of Appeals relied are not new. But they have assumed increased significance in light of the Wisconsin Supreme Court’s recent decisions confirming that the duty to defend analysis is limited to the “four corners” of the complaint. See Marks v. Houston Casualty Co., 2016 WI 53, and Water Well Solutions Services Group, Inc. v. Consolidated Insurance Co., 2016 WI 54. Now, more than ever, it is critical that courts follow the example set by the Court of Appeals in Grigg and remain focused on the facts alleged against the insured, not the plaintiff’s legal theories, and courts must continue to liberally construe the facts alleged in favor of coverage precisely because the analysis is constrained to the allegations in the complaint. For Underinsured Motorist (UIM) Coverage, Notice Requirements May Not Apply Until Primary Insurer Offers To Pay Policy Limits. Shugarts v. Mohr, 2018 WI 27, 380 Wis. 2d 512, 909 N.W.2d 402. In 2017 we discussed the Wisconsin Court of Appeals’ decision in Shugarts v. Mohr, which shortened policyholders’ time to put underinsured motorist (UIM) carriers on notice. In 2018, the Wisconsin Supreme Court reversed the Court of Appeals, holding that the triggering event for notice of a UIM claim, at least under certain policy language, is the payment of an underinsured tortfeasor’s policy limits. In 2010, Robert Shugarts, a deputy sheriff in Eau Claire County, suffered severe injuries when a hit-and-run suspect, Dennis Mohrs, struck Shugarts’ squad car. Mohr’s auto insurer, Progressive, initially denied coverage because Mohr allegedly hit Shugarts intentionally. In June 2013, Shugarts learned that Progressive’s policy limit was only $50,000. Progressive continued to deny coverage and offered just $10,000 to settle with Shugarts. In October 2014, Progressive reversed course and offered its $50,000 policy limit to Shugarts. Fifteen days later, Shugarts sent a notice of retainer to his own auto insurer, Allstate, to pursue a UIM claim for his damages in excess of Progressive’s limit. Allstate denied the claim for failure to provide timely notice. The trial court and Court of Appeals agreed with Progressive, finding that multiple earlier events should have triggered Shugarts’ duty to provide notice of the UIM claim (i.e., when Progressive denied coverage or advised Shugarts of its policy limit). Going forward, policyholders with potential UIM claims should review the applicable language in their policies very closely. If it differs from the language in Shugarts’ policy, there is at least some risk that a Court might require earlier notice of a UIM claim (i.e., before the tortfeasor’s insurer offers its policy limits). Moreover, insurers might revise their policy language moving forward to work around this decision and impose earlier notice requirements. No Coverage Available For Damages Incurred As a Result of Fraudulent Business Practices. Leicht Transfer & Storage Co. v. Pallet Cent. Enterprises, Inc., 2018 WI App 35, 382 Wis. 2d 270, 915 N.W.2d 729, review granted, 2018 WI 100, 920 N.W.2d 911. The Leicht Transfer case presents an example of a loss searching for a coverage theory. The policyholder, Leicht, suffered a $500,000 financial loss after a third party vendor fraudulently charged it for shipping pallets that Leicht never ordered or received. Leicht mistakenly paid the vendor invoices showing the forged signature of a Leicht employee and indicating that Leicht had received the pallets. Leicht passed on these charges to its customer. When the fraud was discovered, Leicht’s customer demanded reimbursement and Leicht complied. Leicht then sought coverage under various insurance policies for its loss. In an unpublished Court of Appeals decision that the Wisconsin Supreme Court plans to review, the Court of Appeals rejected coverage for Leicht under several different policies. Leicht first sought coverage under a crime policy’s forgery coverage. Leicht’s forgery coverage narrowly covered losses arising from fraudulent checks, drafts and promissory notes or similar written promises, orders or directions to pay a certain sum. The crime policy’s “forged instruments” definition did not include invoices, bills or requests for payment like those the pallet vendor sent to Leicht. For this reason, the Court of Appeals rejected coverage under the crime policy. Leicht also sought coverage under its general liability policy, arguing the money it paid to its customer constituted “sums that the insured [became] legally obligated to pay as damages because of…property damage…” The policy defined property damage as “physical injury” to “tangible property.” The Court of Appeals found the fictitious pallets neither existed nor were identifiable and therefore were not “tangible property” under the general liability coverage. The Court reasoned the pallets were hypothetical at best and likely never existed at all, therefore not qualifying as tangible property. Finally, Leicht made a claim under its cargo handling policy which covered direct physical loss or damage to covered property. Covered property included property that Leicht accepted for transportation. Leicht’s cargo policy separately covered direct physical loss to pallets owned by Leicht or others that were not accepted for transportation. The Court of Appeals held the pallets were not covered property because they were not accepted for transportation nor were they the property of others. Moreover, Leicht did not suffer direct physical loss of the pallets since no one ever physically possessed them.Therefore, no cargo handling coverage applied. Massive Forest Fire Only Constitutes One Occurrence. SECURA Ins. v. Lyme St. Croix Forest Co., LLC, 2018 WI 103, 384 Wis. 2d 282, 918 N.W.2d 885. The Wisconsin Supreme Court has further clarified the method for counting the number of occurrences under a general liability policy, reinforcing the rule that Wisconsin follows the “cause theory” or “cause analysis” for such inquiries. The underlying case arose out of a forest fire that spread from a lumber company’s operations to other properties over the course of three days, ultimately burning almost 7,500 acres in Northwestern Wisconsin. The lumber company’s insurer issued a general liability policy with a $2 million aggregate and $500,000 per occurrence limit. The Wisconsin Supreme Court addressed whether, under these facts, the fire was a single occurrence or multiple occurrences. If the latter, then $2 million in coverage would be available for the losses. The Court framed the issue as whether there was a new occurrence each time the fire crossed a property line causing damage to a new property. The lumber company argued for multiple occurrences while the insurer argued that a single occurrence took place under these facts, meaning only a $500,000 per occurrence limit applied to the loss. Under these facts, the Wisconsin Court of Appeals held that each loss on a new piece of property was a new occurrence. The Wisconsin Supreme Court reversed, relying upon the “cause theory” which states where a single, uninterrupted cause results in all of the injuries or damages, there is but one occurrence. The Court heavily focused on the temporal and spatial nature of the loss, reasoning that if the cause and result are closely linked in time and space so that the average person will consider it one event, there is a single cause and occurrence. Only when the cause is interrupted or replaced by another cause is the chain of causation broken and more than one occurrence will have taken place. In other words, if the injuries or damage stem from one proximate cause, there is a single occurrence. The Court contrasted the forest fire to other cases where it had previously found multiple occurrences. Comparing Plastic Engineering Co. v. Liberty Mutual Ins. Co., 2009 WI 13, 315 Wis. 2d 556, 759 N.W.2d 613, which involved the number of occurrences arising from the sale of asbestos-containing products, the Secura court characterized Plastics Engineering as involving injuries that occurred over a period of years at varying geographic locations. Similarly in Wilson Mut. Ins. Co. v. Falk, 2014 WI 136, 360 Wis.2d 67, 857 N.W.2d 156, which considered contamination of multiple water wells due to manure seepage from a nearby farm, the Secura court considered the Falk case to involve multiple occurrences because the manure seepage occurred over an unspecified time period. In contrast to the multiple occurrences in Plastics Engineering and Falk, the forest fire at issue burned continuously over a three-day period in a discrete area and was caused by a single precipitating event. As such, the Secura court held such an event could only reasonably be considered one occurrence. Legislature Blocks Temporary Employees From Bringing Tort Claims Against Temporary Employers Where the Ability to Make a Workers Compensation Claim Exists. In re Estate of Rivera v. West Bend Mutual Insurance, 2018 WI App 14, 380 Wis. 2d 138, 908 N.W.2d 486. The Rivera decision from the Court of Appeals made such an impact that the lawmaking bodies of Wisconsin took immediate steps to change the resulting rule on its own. Rivera arguably created a loophole regarding the litigation rights of temporary employees, which the other branches of the government quickly sought to close. Rivera arose out of a motor vehicle accident that killed Mr. Rivera and two others while riding in a vehicle owned by Alpine Insulation and insured by West Bend Mutual Insurance. Mr. Rivera was employed by Alex Drywall, who had sent Mr. Rivera to provide services to Alpine, making him a temporary employee of Alpine. Mr. Rivera’s estate did not make a worker’s compensation claim following the accident, and eventually brought tort claims against Alpine as the temporary employer. The question presented to the Court of Appeals was whether a temporary employee injured in the course of that employment, but who hasn’t made a worker’s compensation claim, may bring a tort claim against the temporary employer. Section 102.29 of the Wisconsin Statutes stated that an injured temporary employee could not file a tort action against the “borrowing employer” if the employee “makes a claim” for worker’s compensation benefits. The court found that so long as a claim was never made for worker’s compensation benefits, the injured employee could file a tort action against the temporary employer. The court rejected Alpine and West Bend’s warning that it could be providing temporary employees’ the right to a double recovery, since the statute would still only allow one or the other. It was similarly unconcerned by the possibility of giving temporary employees the choice: file a worker’s compensation claim or bring a tort action against the employer and its insurance carrier. The court said this would not be an “absurd result” based on its reading of the governing statute. Wisconsin’s legislature and governor disagreed with the Court of Appeal. They swiftly moved to pass legislation to overturn Rivera and amend Section 102.29 to bar temporary employees from bringing tort actions against their temporary employer. 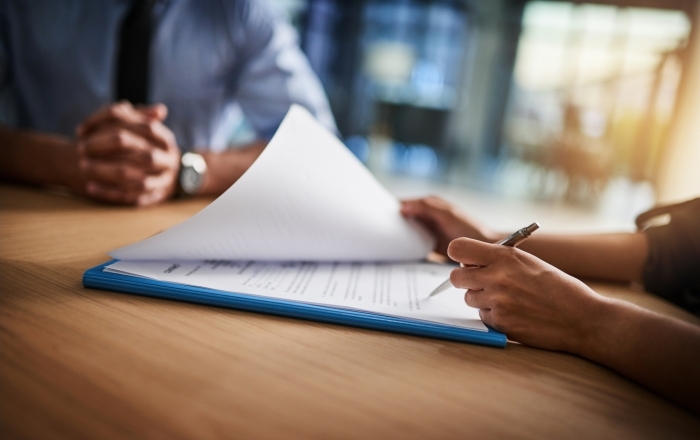 Specifically, the “makes a claim for compensation” language is changed to “has the right to make a claim for compensation.” Meaning, a temporary employee who “has the right to make a claim” for worker’s compensation benefits would be prohibited from bringing a tort claim against the temporary agency or the employer that compensates the temporary help agency for that employee’s services. The Rivera decision—at first a win for temporary employees around the state—quickly disappeared. It resulted in clarity to the employers of those workers and the entities utilizing them, as well as their insurance carriers potentially subject to liability via the route to tort liability that Rivera identified. What’s the “Occurrence” that Triggers Coverage: the Damage Caused or Its Cover Up? Blesener v. Linton, 2018 WI App 21, 380 Wis. 2d 508, 913 N.W.2d 514 (unpublished). Blesener v. Linton presents a fairly common dispute over the sale of real estate, but offers fresh insight into how coverage may apply. William Linton was sued for alleged misrepresentations he made in the real estate condition report (“RECR”) provided as part of the sale of his single family home. Following the sale, the buyers experienced repeated and continuous water intrusions into the house and informed Linton that they believed that he intentionally failed to disclose structural defects in the house that caused rotting and other damage. The buyers alleged that Linton engaged in repair work prior to the sale that evidenced his knowledge of the defects and that Linton’s false statements in the RECR that he was unaware of structural defects, leaks, or unsafe levels of mold were lies. The buyers put the damage at $350,000. Linton tendered the complaint to his insurer, Liberty Mutual, for defense and coverage. Liberty Mutual intervened in the lawsuit and requested a judgment that the policies did not provide coverage for the claims asserted against Linton because they were based on a misrepresentation, which is not a covered occurrence under the policies. Liberty also argued an intentional acts exclusion applied. The trial court agreed with Liberty that the alleged conduct was not a covered occurrence and granted Liberty Mutual’s request, never reaching the intentional acts exclusion. On appeal, Linton argued that the “occurrence” was not the alleged misrepresentation on the RECR, but instead was the water damage that actually caused physical damage. He pointed to the complaint’s detailed descriptions of the nature of the defects, leaks, and resulting damage to the home. In making this argument he faced an uphill battle, since the leading case on point, Everson v. Lorenz, had previously held that misrepresentations in an RECR—in that case even misrepresentations that were only made negligently—were not covered since they are “volitional acts,” not accidents. 2005 WI 51, 280 Wis. 2d 1, 695 N.W.2d 298. The question in Blesener came down to whether the complaint alleged an “accident.” Plaintiffs alleged that the water infiltration and subsequent damage were caused by “substantial and material defects” in existence “since construction.” However, Linton himself played no role in the designing or building of the house. Meaning, from a coverage standpoint, Linton’s only liability for the damage related to the complaint that could potentially trigger coverage were his alleged misrepresentations. Per Everson, those misrepresentations were not accidents. The Court of Appeals affirmed there was no “occurrence,” denying coverage. West Bend Mutual Insurance Company v. Ixthus Medical Supply, Inc., 2019 WI 19. One of the most important features of many liability policies is the “duty to defend”: that part of the policy that obligates insurers to pay the costs of defending a lawsuit alleging covered claims. Two years ago the Wisconsin Supreme Court ruled that, in assessing whether there was a potentially covered claim, courts could look only at the complaint itself, and had to ignore any extrinsic evidence showing such potential. Water Well Sols. Serv. Grp. v. Consolidated Ins. Co. While this holding was nothing new—the “four corners rule” has been around for decades and the court simply said it was not prepared to recognize an exception—Water Well had troubling implications for policyholders because it appeared that the complaint in that case could be read as having pled claims that gave rise to some possibility of coverage, leaving insureds in the difficult position of having no insurance for the defense of claims that might ultimately be covered (and the extrinsic facts presented by the policy holder showed that there likely was coverage in that case). Late last week, the court clarified that this troubling implication may not be quite as well-founded as it initially seemed. In West Bend Mutual Insurance Company v. Ixthus Medical Supply, Inc., the Wisconsin Supreme Court found that West Bend owed a duty to defend Ixthus because some trademark and fraud claims did not require intent as an element of the claim, leaving the possibility of non-intentional, and therefore covered, claims, even though Abbott’s complaint alleged intentional conduct for each claim that, as pleaded, would fall within an exclusion for “knowing violations” of law. This holding affirmed that even under the strict “four corners” rule recently applied to defeat coverage in Water Well (and a companion case, Marks v. Houston Casualty Co.) the duty to defend is still broader than the duty to indemnify. Though the duty-to-defend analysis must be limited to the allegations in the complaint—a rule that can cut both ways—the court reiterated that those allegations must be liberally construed and all reasonable inferences taken, meaning that the rule may not favor insurers nearly as often as we feared two years ago. In the course of this ruling, the Court also preserved defense coverage for advertising injury despite the likely (but not definitive) application of a “knowing violation” exclusion. Allegations that the insured acted knowingly or intentionally cannot defeat defense coverage as long as at least one cause of action does not require a showing of intent as an element of the claim. For more information on West Bend Mutual Insurance Company v. Ixthus Medical Supply, Inc., our Insurance Coverage Litigation Law Alert on the decision is available here.